Welcome to the July 26, 2018, issue of "Newtown News Update." The opinions expressed here are solely the those of John Mack and do not reflect the opinions of any other person or entity. If you are not a subscriber, please subscribe here. If you are a subscriber and do not wish to receive further updates, please use the "Unsubscribe" link at the bottom of this email. In a 3-1 vote, the Newtown Board of Supervisors (BOS) appointed Dennis Fisher to fill the Board vacancy that resulted from the resignation of Jen Dix. Kyle Davis, the sole Republican Board member voted “nay.” Mr. Davis made 3 previous motions to appoint Gerry Couch, Jerry Festa, and Jo Vlastaris, but all failed to be seconded. 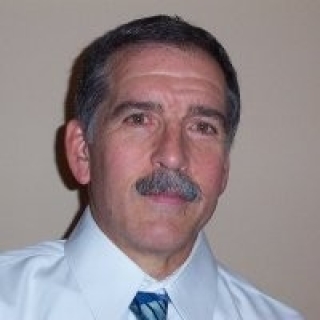 Mr. Fisher – who was elected Auditor in 2017 – has served the Township for more than a decade as a member of the Planning Commission (2006-2017) and a voting member of the Environmental Advisory Council from 2015 to 2017. Professionally, Mr. Fisher has had a long career in the mental health field and is currently Program Director of a behavioral health training organization that provides training and orientation for mental health and substance abuse treatment staff in Philadelphia. During his interview by the Board on July 11, 2018, I asked Dennis how he might improve communications between the BOS and residents. One idea he suggested was to have regular “meet-and-greets” with residents at local coffee shops much like “Coffee With a Cop” meetings. Arcadia Green Application Three-Peat: Will It Be a Slam Dunk? 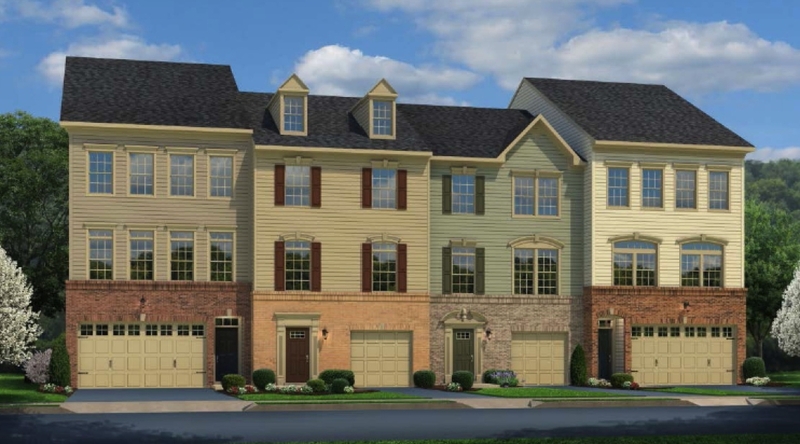 According to a public notice published in the July 25, 2018, issue of the Bucks County Courier Times, the Newtown Board of Supervisors will hold a public hearing on August 8, 2018, “to consider, and if appropriate, grant, the application of Arcadia at Newtown, LP for tentative PRD [Planned Residential Development] approval.” The plan includes 76 dwelling units (23 Village Houses and 53 Townhouses). This is the third application submitted by Arcadia for tentative approval of a PRD off of Buck Road and the Newtown Bypass. The application responds directly to the Township's denial of the earlier Arcadia Green PRD application on December 27, 2017. One common issue with each plan is access to and egress from the proposed development via the township service road that intersects Buck Road near the Newtown Bypass. With only this road as an exit, residents of the development would only be able to make a right turn onto Buck Road and then a U-turn at the intersection with Mill Pond Road to get onto the Bypass or drive into Newtown to shop or dine at local businesses. Such a U-turn is currently not permitted by PennDOT. To circumvent this problem, the previous plan proposed tearing down a Newtown Crossing home owned by the developer on High Street and building a one-way egress into Newtown Crossing. This was a major concern of Newtown Crossing residents (read “Newtown Crossing vs Arcadia: Truth to Power!”). A copy of the application is available for inspection and copying by the public at the Newtown Township building, 100 Municipal Drive, Newtown, PA, during regular business hours. Read “Arcadia Green Sues Newtown Township"
Just for fun, I created an online quiz that challenged people to identify a Wawa hoagie among a group of seven hoagies/sandwiches. The other six were sandwiches purchased from Newtown Township stores. Of course, it was only possible to make a choice based on photographs I took of each sandwich. It was not a popularity contest and unfortunately, not a taste test. Over 215 people participated in the quiz. 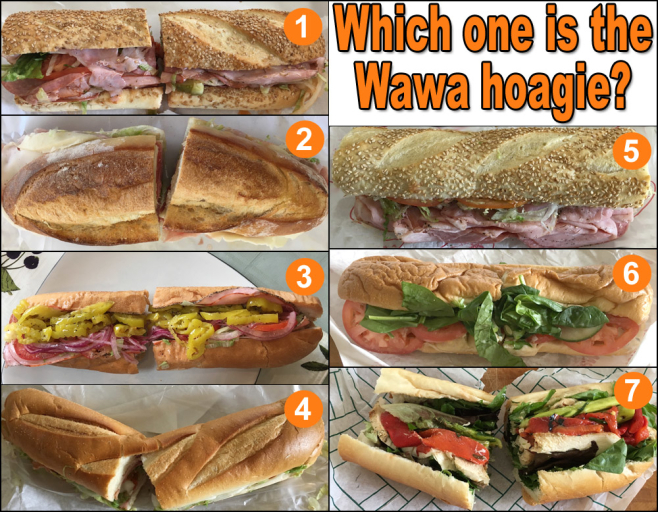 Only 22% of them were able to correctly identify the Wawa hoagie, which is #6 in the image above. The majority (55%) of respondents thought #3 was the Wawa hoagie, which is actually an Italian hoagie from Shady Brook Farm. It cost about $8. About 13% of respondents thought it was #4, which is an Italian hoagie from Acme and cost $5. Slack’s Hoagie Shack half Italian hoagie. About $8.50. La Stalla “Frank Sinatra” sandwich. $ 11.95. 12” Italian hoagie from Shady Brook Farm costs about $8. 12” Italian hoagie from Acme. About $5. Primo mild sharp Italian hoagie. About $10 for 9” size. Chicken with spinach classic Wawa hoagie. About $5 for 10” size. Joey G’s grilled chicken with asparagus sandwich. $7.95. I also asked respondents to identify the highest priced hoagie among the group of seven. 36% of respondents identified #2 as the "priciest" hoagie among the seven (it also had the most meat!) whereas 23% guessed it was #7 and 22% said #5 (close, but no cigar! ).